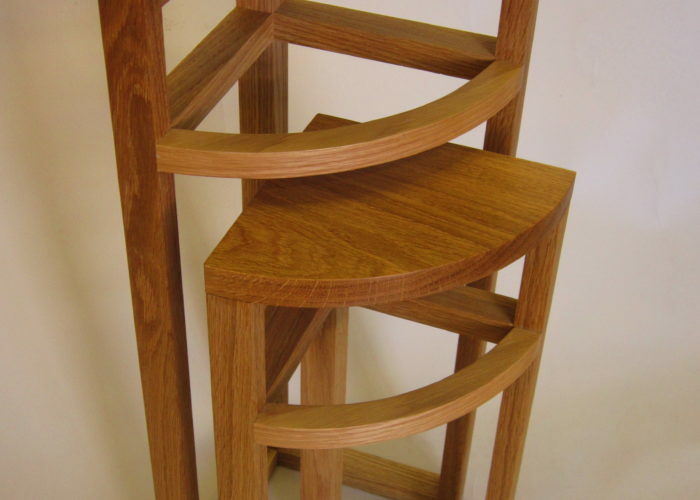 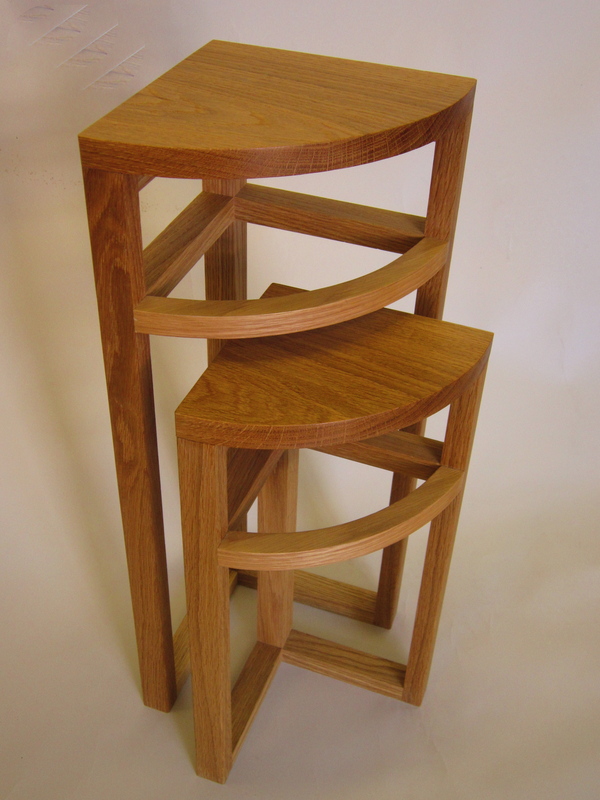 A pair of round-edged bookcases in European oak. 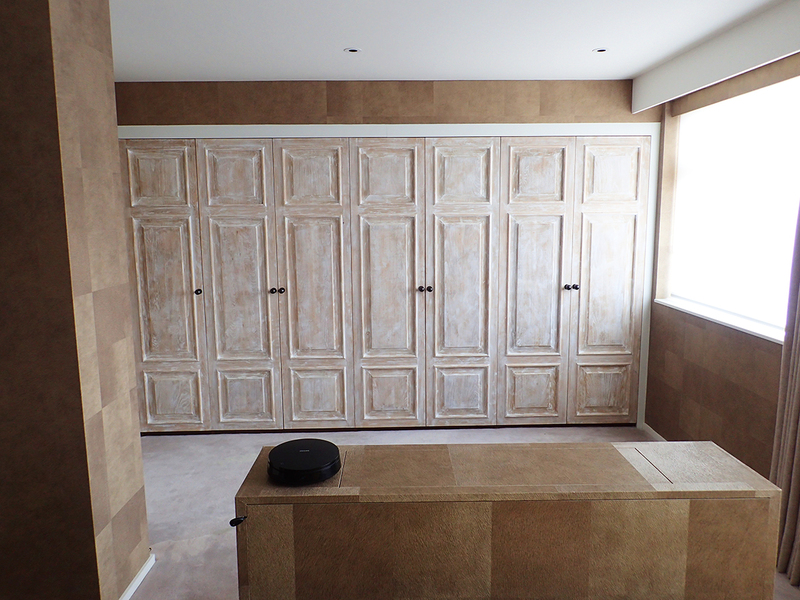 A free-standing wardrobe in oak and Farrow & Ball sprayed exterior. 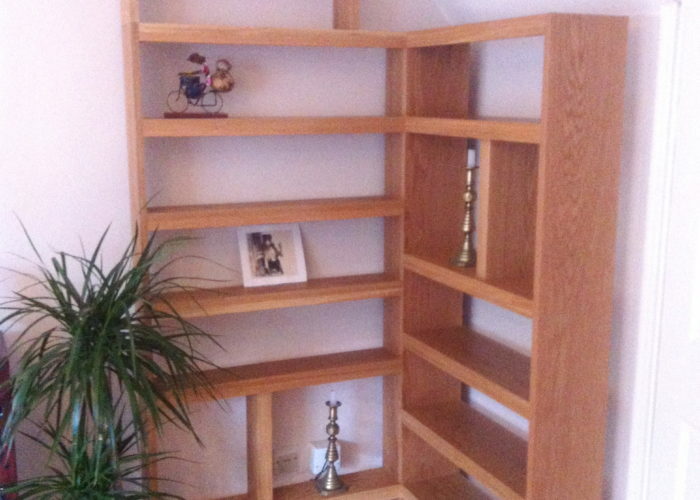 Adjustable shelving and two solid oak drawers compliment hanging space inside. Seven raised-panel wardrobe doors made entirely from European oak. 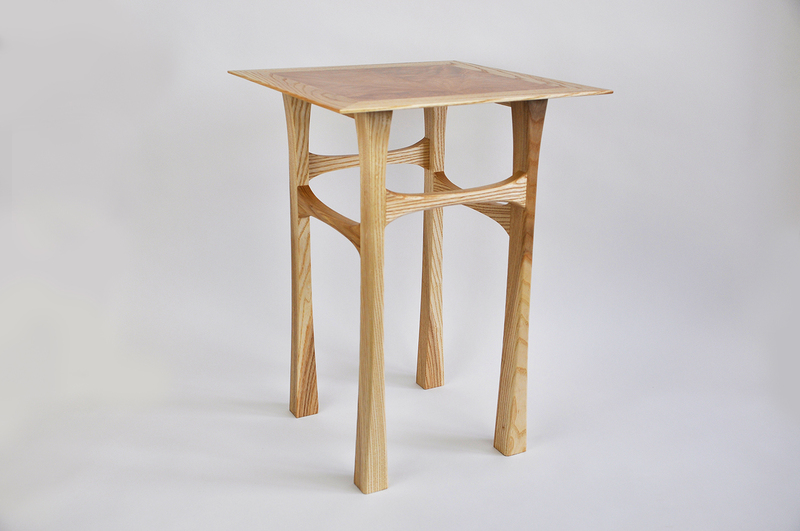 A series of three tables made from ash, oak and sapele. 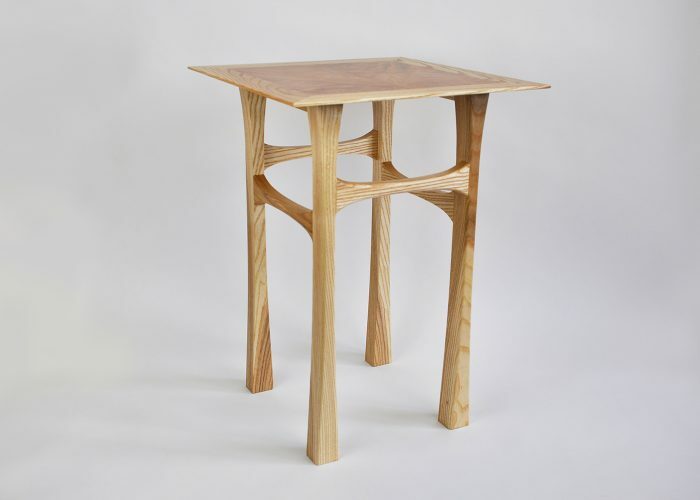 A nest of two tables for cups of tea, or occasionally something stronger. 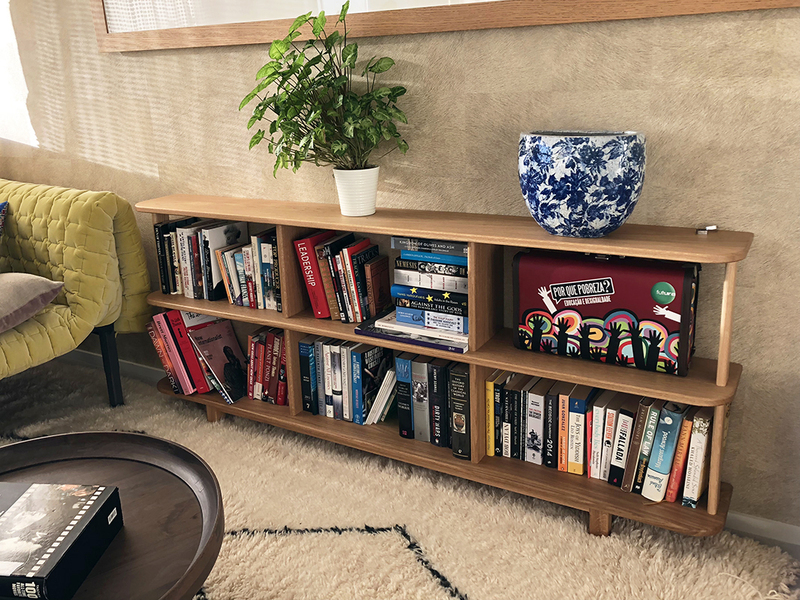 Made to be tucked away in the corner of a small living room. 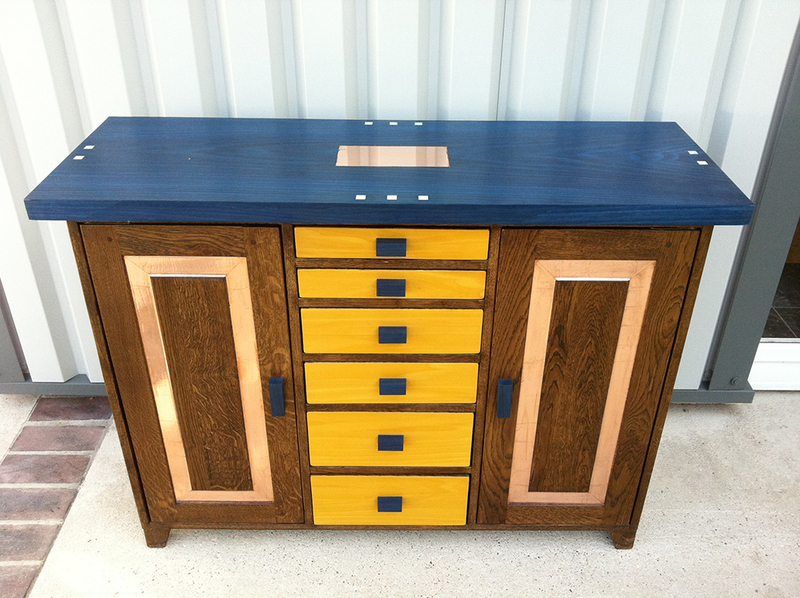 Solid oak cabinet upcycled with blue and yellow through-stained veneer, inlaid copper plate and copper foil, and mother of pearl detail. 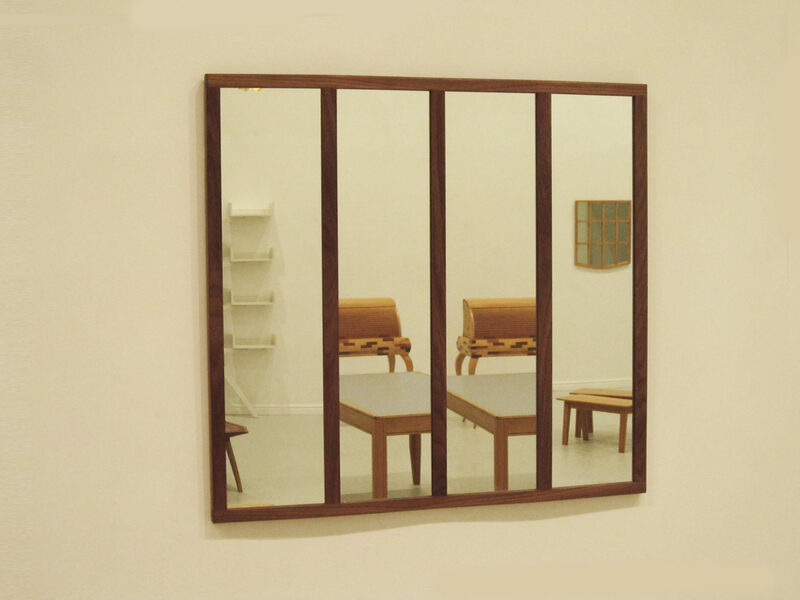 Original frame and panelling front and rear. 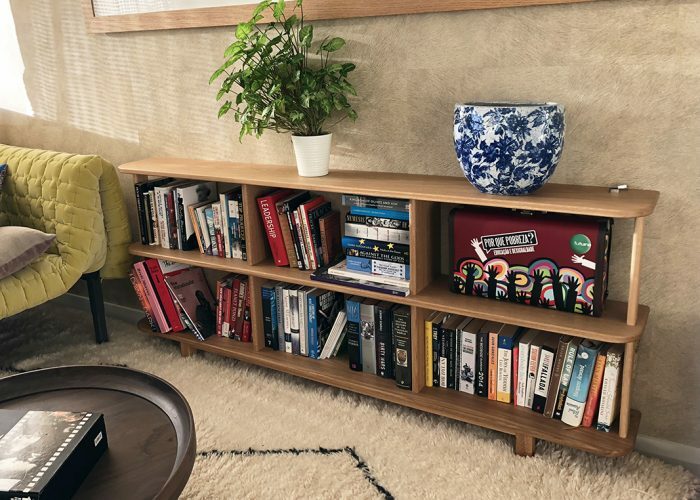 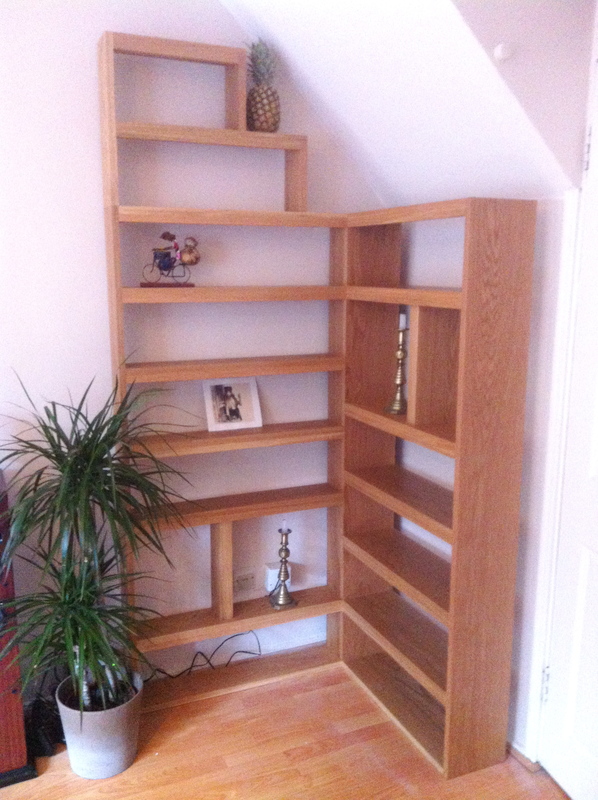 A bookcase in solid oak with a detachable upper tier, should the piece ever move home. 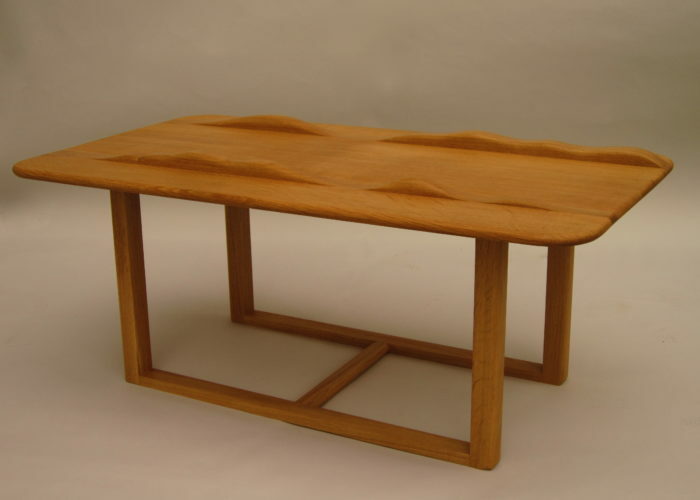 An old oak table top that had split into three parts reformed as a landscaped coffee table. 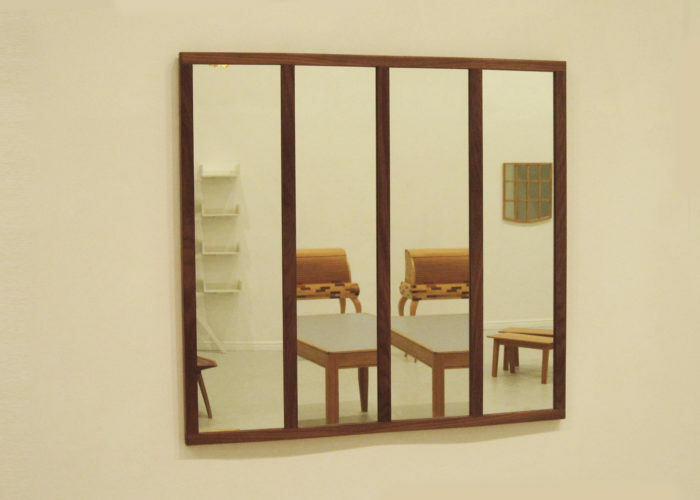 A lattice frame mirror in oak, and the walnut ‘Cocteau Mirror’. 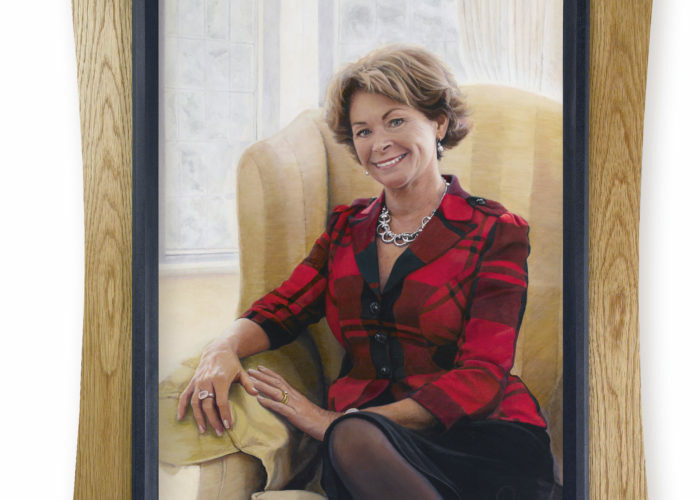 A frame for a headmistress’s portrait, painted by Beka Smith.